Don’t miss this once-in-a-lifetime opportunity to learn how to race Formula cars with one-on-one coaching from 2014 Indianapolis 500 winner Ryan Hunter-Reay and 2016 Indianapolis 500 pole winner James Hinchcliffe at one of the world’s most iconic road courses – Mazda Raceway Laguna Seca in beautiful Monterey, CA! 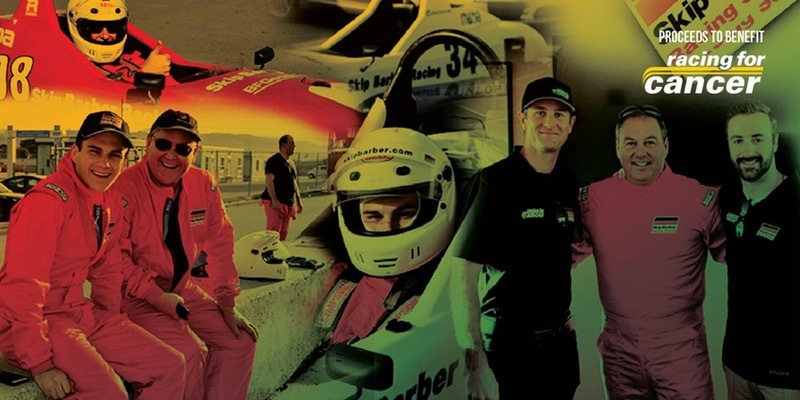 Enjoy either two or three days* of on track action at Skip Barber Racing School, designed for both amateur and aspiring professionals, with an option of golfing with Ryan Hunter-Reay or James Hinchcliffe at the world-renowned Pebble Beach Golf Links. You will also have access to first-class lodging at the famous Inn at Spanish Bay**, exceptional private dinners, VIP receptions, and transportation to and from the race track! *The two-day introductory school will take place from Dec. 1-3. The two-day advanced school will be held from Dec. 2-4. The three-day school will run from Dec. 1-4. **A group rate is available at the Inn at Spanish Bay. Please contact Beth Fischgrund; BethF@LSTMarketing.com to reserve your hotel accommodations. ***Donation does not include air transportation to/from event area or hotel accommodations. Participant fees, insurance, driver suits and helmets, all meals and local transportation are included. If you have any questions about Race to Beat Cancer or Racing For Cancer, please contact Tom Vossman at tom@racingforcancer.org or (636) 541-2271.